October 26, 2015 November 25, 2015 • Glenna G.
Sometimes, you just can’t pass up an opportunity to travel. Although I’d traveled a decent amount during my semester abroad in 2012, there were still a lot of European countries that I hadn’t been to. 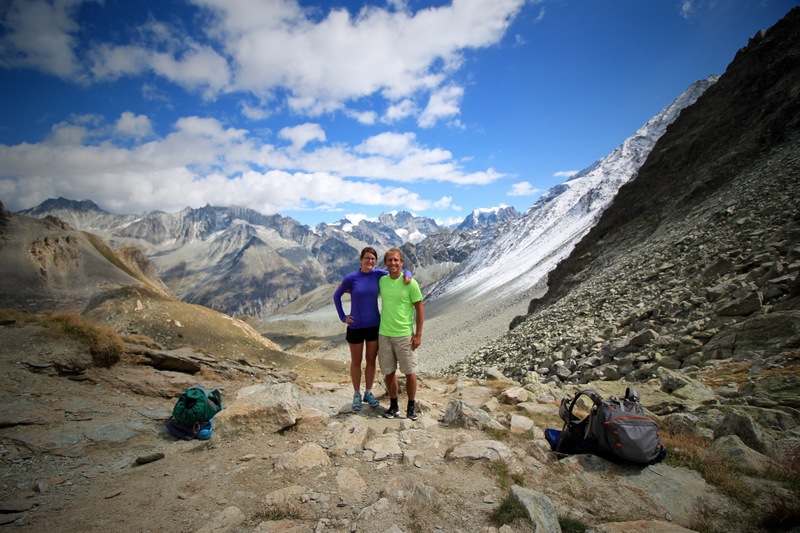 In the space of 2 months, Jake and I traveled through France, Spain, Italy, Switzerland, Austria, and Germany. Even in places I’d already been, I learned so much about the people, the culture, and the history. It would be impossible to talk about everything we did, but here are some highlights! After flying to Paris from Chicago, Jake and I met up under the Eiffel Tower, of course! We had a great time eating crepes, drinking wine and salsa dancing by the Seine, taking hammock siestas, and walking to all of the main sights. The crowds were terrible, as the Italians and the French have much of the month of August off work and were touring the city as well. We eventually got to see Montmartre, a bit of the Louvre, and the Eiffel Tower, but missed out on some other activities due to ridiculously long lines. Ah, well. We’ll be back, Paris! After a few days eating our way through Paris, Jake continued on to Spain, while I made a 1-day stop in Limoges, where my friend Marion lives. I met her while we were studying abroad in Scotland. It was great to catch up on life, and talk about our time abroad together. She and her boyfriend were kind enough to give me a tour and host me for the night, and they also fed me some delicious homemade ratatouille and other local specialties. Thank you so much for the hospitality, and I hope our paths cross again someday! The golden shell marks the Camino de Santiago, a walk that began as a Christian pilgrimage during the Middle Ages. The shell has many meanings, one of which is that the grooves represent the many paths leading to a single destination (in this case, the tomb of James in Santiago de Compostela). Many pilgrims also wear the shells, which were historically used as bowls or cups during their time on the road. The hike seems a bit too urban for me, but it would be interesting to meet some people during their pilgrimages. Next up was Spain! I rode the train all the way to Madrid, where Jake was waiting to take me to the hostel (no horror film references, please!). We passed out, since it was after midnight, but the rest of the city continued partying noisily until 6am! We had a fantastic little market directly across from our hostel, where we got some sangria, tapas, and jamón ibérico. A highlight of our time in Madrid was the very cultural experience of a bullfight! It was admittedly a bit gory, but I felt like I was witnessing an event that took place hundreds of years ago. For more detail about the traditions and the historic Las Ventas stadium, read Jake’s blog HERE. We took a day trip to Toledo, where we went zip lining over the city walls! We also hammocked by the river. It was so hot, we didn’t feel like doing too much. In Barcelona, we were a bit taken aback by the sheer mass of humanity surrounding the Sagrada Familia. We gawked at the weird structure, and then hiked up into Parc Güell for a good view of the coast. We learned that Barcelona was revived for the 1992 Summer Olympics, and ever since has been the 6th most visited city in Europe. We found the Olympic Stadium, hiked up a hill called Montjuïc that overlooks the city, and took a quick dip at the beach. The tall wire structure represents a record-breaking Catalonian castell, which is a human tower built at festivals. It would be incredible to see in action, but it is possible to die when falling from the top of the tower (and usually children are put on top). Yikes! Next was a loooooong train ride across Spain, France, and Italy to Cinque Terre! We spent a great few days hiking between the towns, drinking limoncello, and eating gelato. It was very relaxing after being in a few big cities. We need our open air! See Jake’s account HERE. We spent a few nights at a cute little Air B&B just around the corner from the Vatican in Rome. Unfortunately I had a sinus infection and had to go to the doctor, so I wasn’t very much fun… We did take a tour of the Colosseum and the Roman Forum, and Jake toured the Vatican. Next was Pompeii (much of which was under reconstruction), and Mt. Vesuvius (which we couldn’t hike up, very disappointing). On to Sorrento on the Amalfi Coast, where we did a hike up into the hills called Sentiero degli Dei, or the Path of the Gods. We didn’t have a lot of time here, but could’ve spent days exploring and swimming. And of course, Naples, for THE BEST PIZZA OF ALL TIME. Seriously. It was dough, tomato sauce, and herbs, and it was one of the best things I’ve ever had. We took a walking tour of the city, where we learned that Naples has its own dialect, which is protected by law but is not taught in the schools. Naples seems Italian, yet not Italian… It’s a very complicated city. We then took a night train on to Venice, couldn’t check into our hostel at 6am, and ended up wandering the streets at dawn. It was actually a good thing, because I’ve never seen Venice early or late, and it’s a completely different experience without the crowds. 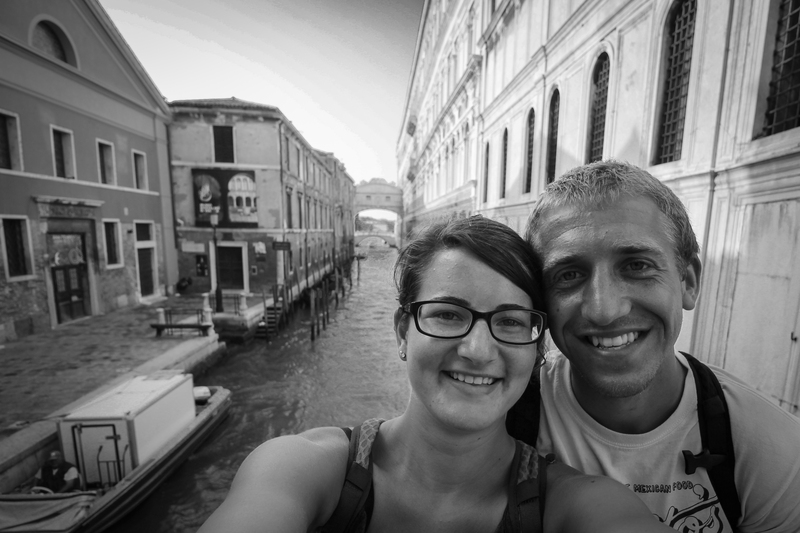 We visited Murano (the glass-blowing island), and walked the canals late at night. For a little more nature time, we headed to Lake Como. Our hostel looked out over the lake, and we hiked way up into the mountains. We stopped at a rifugio, a mountain hut with lodging and refreshments. We also saw some climbers on a Via Ferrata, or “Iron Way”, which is a steep trail equipped with a fixed anchoring system of ladders and cables. We didn’t have any harnesses, so we stuck to the regular trail. We had a great view of Lake Como, Lake Lugano, and a glimpse of Lake Maggiore from the top. 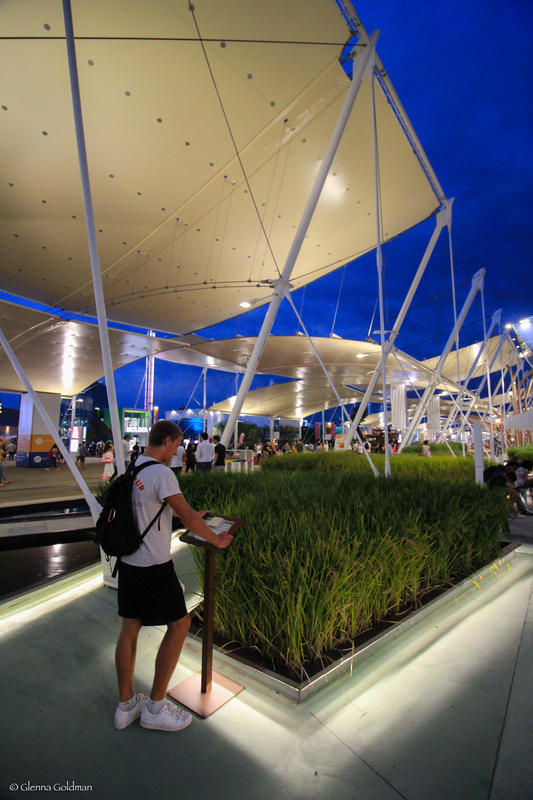 Our final stop in Italy was in Milan, to visit the Expo (formerly known as The World’s Fair). The theme this year was sustainable food, so it was basically a giant food festival! America had BBQ and burgers, of course… Italy had a section devoted to genetically-enhanced rice. There were also sections on coffee, chocolate, and other globally-important foods. Next up was our hike in the Swiss Alps. For more on that, visit my post HERE. After our hike, we took a few days to recover in Austria. Salzburg was very pretty. We took the Sound of Music tour, and then biked around exploring the nearby countryside. We explored Austria and its musical heritage, and then headed to Germany. We had an interesting time getting to Munich because of the Syrian refugee issues, but we made it in time to hit Octoberfest! And then it was time for me to head home. The flight back was a bit of a disaster, but I was able to make it back in time for my uncle’s wedding. These are just a few of the photos and stories from our trip. Jake’s the real storyteller, so check out his blog, The Traveling Geiger, for more! Can’t thank this guy enough for an amazing few months. So many more adventures await, in Colorado and beyond! Have a great autumn, everyone. Cheers! Posted in Travel BlogTagged Travel, Travel BlogBookmark the permalink.